Download the CODES.zip directory Here . 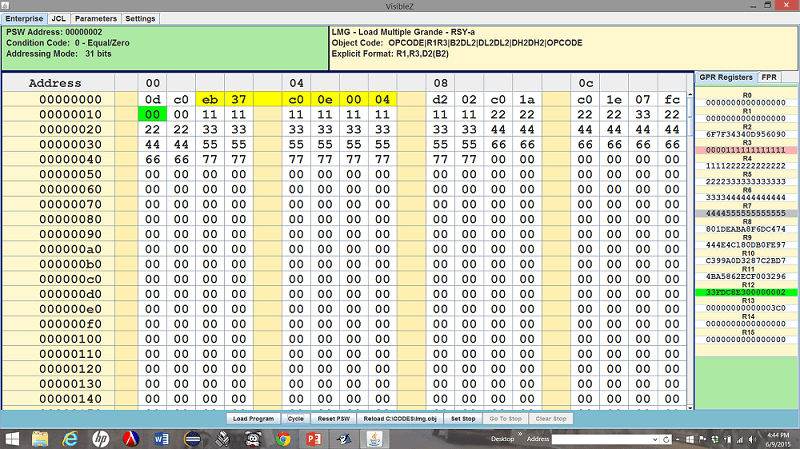 The CODES directory contains executable sample programs for every instruction. Act like a computer architect and invent your own instruction set. Be sure to click on the Settings tab in Visiblez and type in the path to the CODES directory. Find the VizibleZ homepage here. Watch an old video demo about an early version of VizibleZ here.